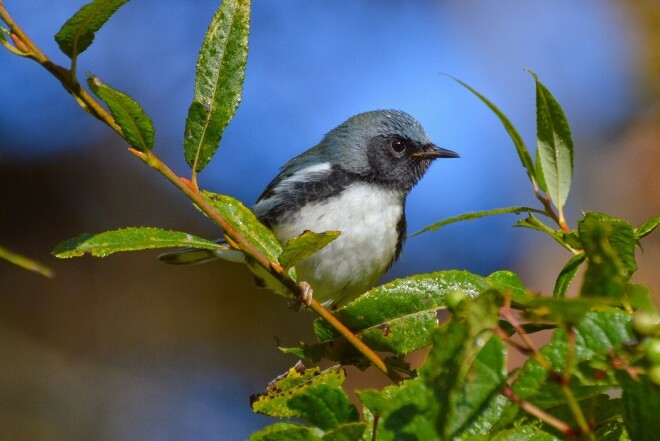 Black-throated Blue Warbler in Greenwich, Connecticut, by Jesse Gordon. Researchers using a novel combination of weather-radar data, flight-call recordings, and wind measurements have provided new insights into the magnitude and direction of the puzzling movements known as morning flights. Night-migrating birds make the flights after dawn, moving above tree height either singly or in loose groups and usually in the direction in which they migrated the night before, but not always; sometimes morning flight is in a direction opposite their intended goal. Read more about morning flight (New Jersey Audubon Society). A team including Paul Kerlinger, David Sibley, and Richard Crossley documented morning flight among more than 60 species of autumn migrants at Cape May, New Jersey, in 1988 and 1989. 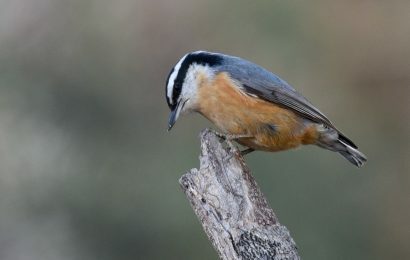 The researchers concluded that the flight consisted of birds returning to land after being blown out to sea the previous night, birds compensating for lateral drift incurred during migration, and birds seeking habitat where they could rest and find food. In the latest study, conducted in fall 2010, Benjamin M. Van Doren from Cornell University and investigators from the University of Massachusetts at Amherst and the Cornell Lab of Ornithology compared morning flights at seven inland and coastal locations in New York and Pennsylvania. Benjamin M. Van Doren, Daniel Sheldon, Jeffrey Geevarghese, Wesley M. Hochachka, and Andrew Farnsworth. 2015. 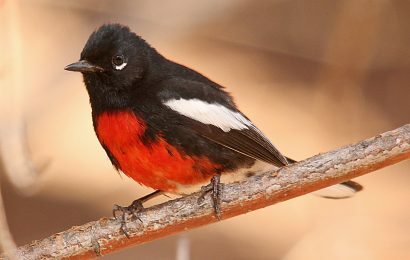 Autumn morning flights of migrant songbirds in the northeastern United States are linked to nocturnal migration and winds aloft. The Auk: Ornithological Advances 132 (1): 105–118. Abstract. Just as interesting, morning-flight directions differed from site to site. 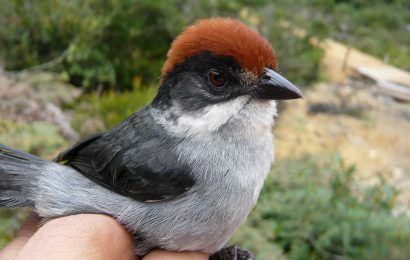 Migrants near Ithaca moved south-southeast, for example, while birds in Manhattan flew west and birds in Rye moved north-northwest, leading the researchers to conclude that local conditions, such as topography and the distribution of suitable habitat, are also important considerations when interpreting the direction of morning flight. Van Doren and his colleagues published their study in The Auk: Ornithological Advances, the journal of the American Ornithologists’ Union. A version of this article appeared in the February 2015 issue of BirdWatching. So go ahead and subscribe already! Read David Wiedner, Paul Kerlinger, David Sibley, Paul Holt, Julian Hough, and Richard Crossley’s 1992 paper about morning flight (PDF).